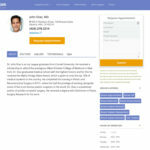 JustBreastImplants.com: JustBreastImplants.com (JBI) provides comprehensive support, resources, and surgeon recommendations to women seeking breast surgery. Founded in 2001 as an educational resource and digital meeting ground for plastic surgeons and potential patients, JBI continues to thrive with the largest breast augmentation community on the web. 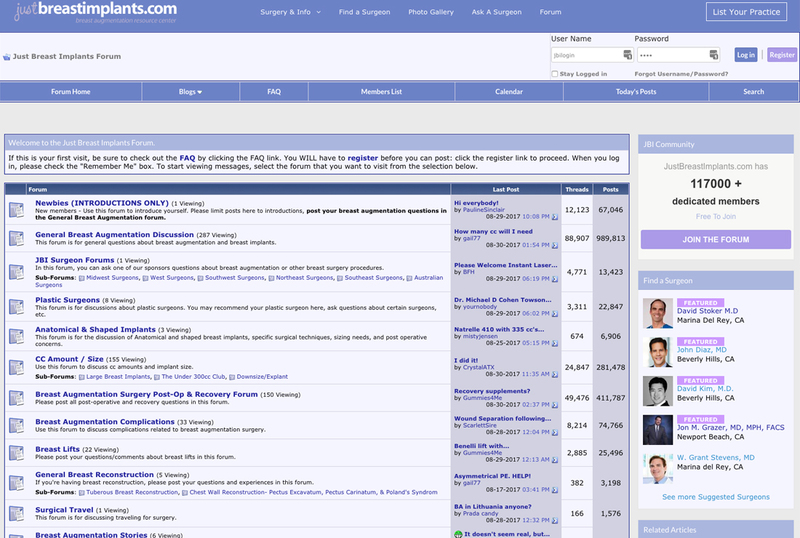 Over 100K members share support and recommendations to their peers. Conjointly, plastic surgeons are able to join in on the conversation answering questions and introducing themselves to these new patients. JBI includes a weekly updated article library, before-and-after photo gallery, feature-rich physician profiles, and more. 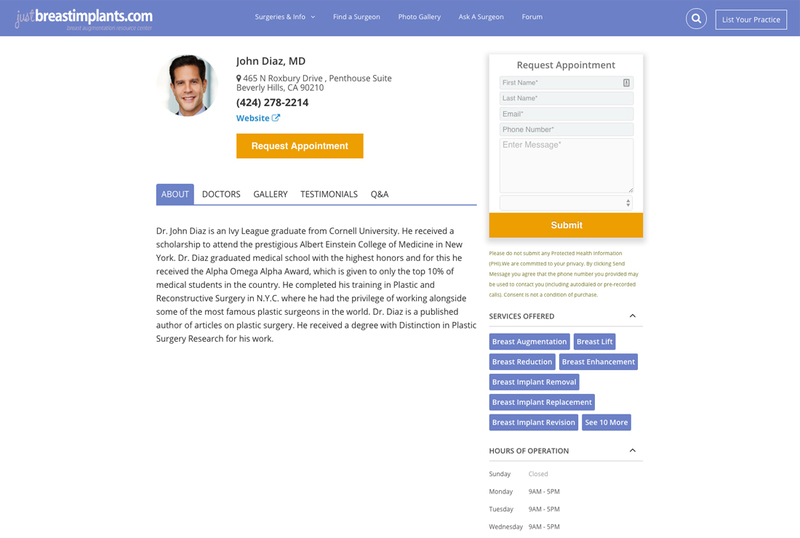 When you create a profile on JustBreastImplants.com, you will also receive a FREE profile listing on eDoctors.com PlasticSurgeons.com.